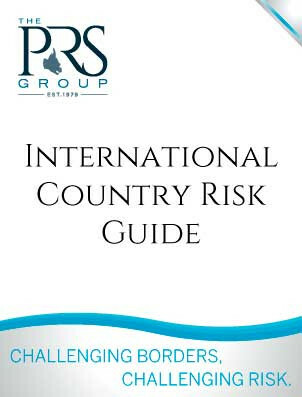 International Country Risk Guide is one of the world's best commercial sources of country risk analysis and ratings. Updated monthly, ICRG monitors 140 countries. 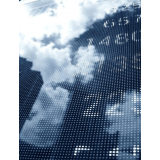 Each 200+ page issue provides financial, political, and economic risk information and forecasts. ICRG's statistical tables assign values to the 22 indicators underlying ICRG's business-oriented model for quantifying risk, examining such country-specific elements as currency risk, political leadership, the military and religion in politics, and corruption. Your subscription to ICRG will include a subscription to ICRG's Global Maps of Political Risk. NOTE: The online and CD-ROM versions of this product are priced for TWO USERS ONLY within a corporate department. By purchasing one of them, the users acknowledge an understanding of this. Usage can be easily expanded by contacting PRS at info@prsgroup.com or +1-315-431-0511 for a multi-user license, including IP access. Back issues of ICRG are also available, but without Maps and only as PDF files (contact PRS for details and dates). 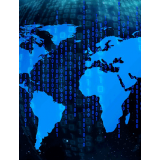 ICRG Online includes 12 months' worth of ICRG country analyses, country risk ratings and statistical tables (in spreadsheets as well as for display). Price listed is for a single user. IP access and other multi-user options available. Appropriate taxes apply. The print version of ICRG provides 12 monthly issues of a 200+ page journal, each including that month's wide range of topical country analyses and ICRG's extensive risk ratings and statistical tables for the month. Appropriate taxes apply. The CD-ROM version of ICRG includes not only the current month’s issue, but 12 months’ worth of issues on every monthly disc. This version also provides all ICRG data from 12 issues in spreadsheet files. Appropriate taxes apply.